Services and commercial life of the town are expected to be boomed by the constructional investment that is to be accomplished in the Libás area of Keszthely, which is going to extend the Eastern part of Keszthely with a new quality shoreline. The approximately 2.5 hectare large area situated between the Phoenix Marina and Hotel Via is going to be built in with five ship shaped, three-floor buildings containing 175 apartments altogether, 35 apartments per block, each apartment of 60 to 100 square metres with balcony. In the first stage of the multi-stage investment construction works will begin in mid- January 2016 and the first block is expected to be handed over at the end of the year. Sale of the apartments, which would meet all claims, has already started and it is carried out by Exclusive Estate Agency, Hévíz, commissioned by the investor Royal Homes Ltd. There are already a lot of inquiries about the properties from both Hungarian and foreign buyers. The energy efficiency class of the apartments will be A+ and in all the apartments remote controlled roller blinds and heat pump heating and cooling systems will be installed. Lifts will serve residents’ convenience in the buildings of high comfort grade and low energy consumption. From a number of apartments in the extraordinary ship shaped buildings residents will have a fascinating panoramic view over Lake Balaton, and on the top a sun roof will also be available for the owners. 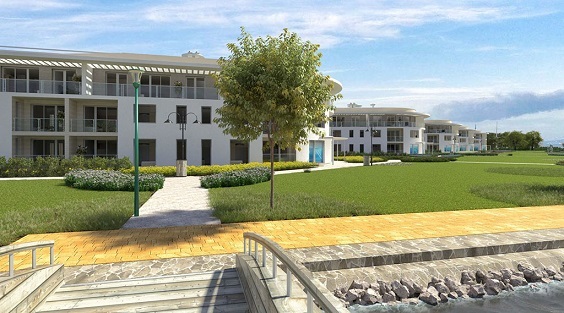 A landscaped waterfront promenade is going to be built in front of the building complex. 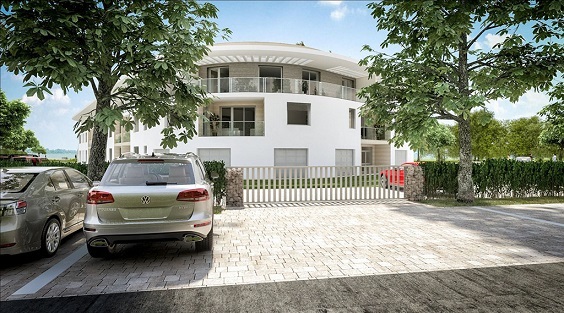 Enclosed car park belongs to the apartments and a limited number of garages will be constructed. The economy and tourism of the town is projected to boom due to the investment. Beside the growth of local traders’ (building materials traders, distributors of doors and windows, kitchen studios, furniture stores etc.) revenue, new companies, with the already existing enterprises, are likely to enter this market in order to serve the new and quality clientele i.e. the property owners. The Libás Beach, the Phoenix Marina, Hotel Via (that is to be completely renovated), the new property investment and the refurbished waterfront promenade will enrich Keszthely with a so far missing shoreline which may attract yachtsmen and a circle of private investors whose members have only preferred the Eastern basin of Lake Balaton previously. László Kovács, head of Exclusive Estate Agency, Hévíz, is responsible for the sale of the properties and he expects mainly the wealthier Hungarian purchasers who regard luxury apartments on the shore as investments of a rather stable value than keeping their money in banks. Yacht owners are also potential residents of the apartments for whom closeness of the marinas might as well be ideal. The homes habitable throughout the year are also suitable for letting, concerning which (Swiss, German, Austrian) elderly foreigners and different financially strong clientele, who do not have any problems of paying the 500 to 700 EUR monthly rent, may also appear. 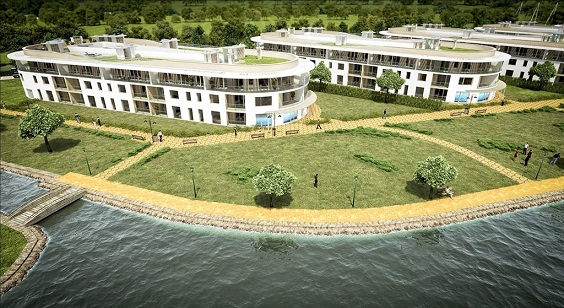 The investor company has plans concerning the Keszthely shoreline beyond the construction of the 175 luxury apartments. The development programme regarding Lake Balaton as a significant resort area was announced in November 2015 and will stimulate investment groups of property developers, which may ensure the predictable economic growth of the dynamically developing West-Balaton region.